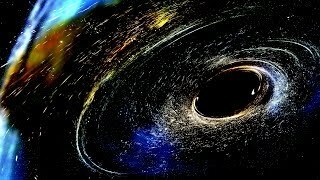 First Images of Black Holes! 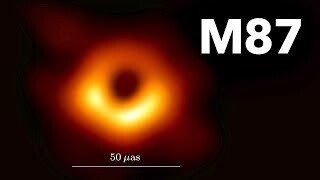 First Images of Black Holes! Do Humans Have an Internal Compass? Do Humans Have an Internal Compass? Can You Recover Sound From Images? Can You Recover Sound From Images? 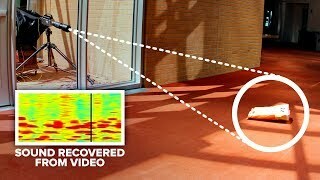 Is it possible to reconstruct sound from high-speed video images? Part of this video was sponsored by LastPass: http://bit.ly/2SmRQkk Special thanks to Dr. Abe Davis for revisiting his research with me: http://abedavis.com This video was based on research by Dr. Abe Davis and colleagues. 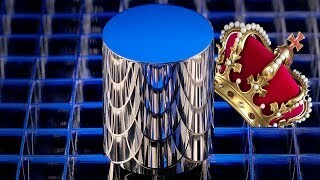 I found out about this work years ago and was fascinated by the way he was able to capture vibration information in image-only video. I always imagined the motions of objects would be visible as when recording a tuning fork in slow motion - so deriving sound from high speed images seemed a feasible task. But the reality is much more difficult. Sound vibrations only cause objects to wiggle by about a micrometer. This is much smaller than a pixel, so the algorithm must understand the characteristics of the image. A move in one direction should cause some pixels to lighten slightly, while others darken - and this behavior is correlated along the edges of the image. So noise can be reduced because it's random over the image and there are enough places to sample that you can get it to cancel out. Something I'm wondering now is - would it be possible to capture sound in a single image? I'm thinking it would have to be an image of a large object or space because the wavelengths of typical sounds are quite long. Maybe a high frequency sound could be imaged in a suitable medium... Animations by Alan Chamberlain Music from http://epidemicsound.com "Seaweed"
A bisected grape in the microwave makes plasma. But how does it work? A grape is the right size and refractive index to trap microwaves inside it. 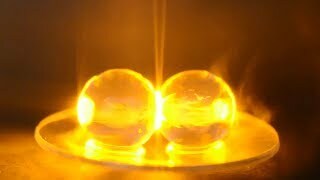 When you place two (or two halves) close together the fields interact with each other creating a maximum of electromagnetic energy where they touch. This creates heating, sparks, and plasma, which is further fed with energy directly by the microwaves. Huge thanks to Hamza Khattak, Prof. Pablo Bianucci and Prof. Aaron Slepkov (unavailable for the call) for chatting to me and helping me understand the physics of this cool phenomenon. Linking plasma formation in grapes to microwave resonances of aqueous dimers https://www.pnas.org/cgi/doi/10.1073/pnas.1818350116 Special thanks to Patreon supporters: Donal Botkin, James M Nicholson, Michael Krugman, Nathan Hansen, Ron Neal, Stan Presolski, Terrance Shepherd Thanks also to Steve Bosi, my original plasma collaborator. Animations by Alan Chamberlain Music from http://epidemicsound.com "Seaweed"
Are Negative Ions Good For You? 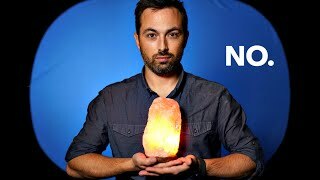 Are Negative Ions Good For You? Do negative air ions improve mood, anxiety, depression, alertness? 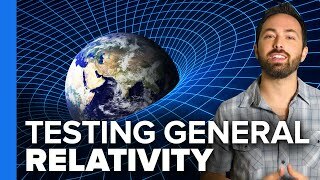 Part of this video was sponsored by LastPass, click here to find out more: http://bit.ly/2RZZTZk Special thanks to Prof. Jack Beauchamp and Dr. Nathan Dalleska from Caltech for all their help running these experiments and discussing the research. For more, check out the links below: http://www.cce.caltech.edu/people/jesse-l-jack-beauchamp http://beckmaninstitute.caltech.edu/eac.shtml If you want to dig into the research on negative ions yourself, I suggest starting with the review studies: Air ions and mood outcomes: a review and meta-analysis. Perez V, Alexander DD, Bailey WH. BMC Psychiatry. 2013 Jan 15;13:29. https://www.ncbi.nlm.nih.gov/pubmed/23320516 Air ions and respiratory function outcomes: a comprehensive review Dominik D Alexander, William H Bailey, Vanessa Perez, Meghan E Mitchell, and Steave Su J Negat Results Biomed. 2013; 12: 14. https://www.ncbi.nlm.nih.gov/pmc/articles/PMC3848581/ Exposure of laboratory animals to small air ions: a systematic review of biological and behavioral studies. Bailey WH, Williams AL, Leonhard MJ. Biomed Eng Online. 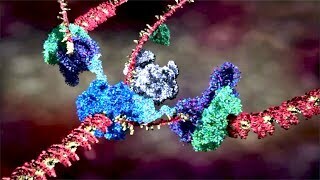 2018 Jun 5; 17(1):72. https://www.ncbi.nlm.nih.gov/pubmed/29866122 Thumbnail photography by Raquel Nuno VFX by Alan Chamberlain Sound recording by Whitney Clavin Motion Graphics by Charlie Kilman Music from Epidemic Sound: http://epidemicsound.com "Capture a Picture 1" and "Seaweed"
A launch mishap led to the best experimental confirmation of gravitational redshift. 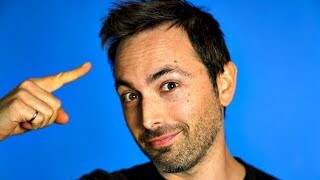 Get a free audiobook with a 30-day trial of Audible: http://audible.com/VERITASIUM or text VERITASIUM to 500500 Huge thanks to Dr. Pacome Delva: https://ve42.co/pacome Dr. Sven Herrmann: https://ve42.co/sven Gravitational Redshift Test Using Eccentric Galileo Satellites: https://ve42.co/GRtest Disclaimer: It is arguable what is THE best test of general relativity because there are different ways to test the theory. This is the best confirmation of gravitational redshift, which is one of the three original tests proposed by Einstein. Special thanks to Patreon supporters: Donal Botkin, James M Nicholson, Michael Krugman, Nathan Hansen, Ron Neal, Stan Presolski, Terrance Shepherd Animations and editing by Alan Chamberlain Music from http://epidemicsound.com "Subtle Substitutes 2" "A sound Foundation 1" "Cell Research 1" "Particle Attraction 1"
Scientists have combined ultrasound, viruses and synthetic drugs to control regions of the brain. 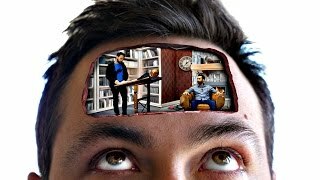 Check out Skillshare: https://skl.sh/veritasium (first 500 get 2 months free) Special thanks to Prof. Mikhail Shapiro and Dr. Jerzy Szablowski: http://shapirolab.caltech.edu Human brains are complicated - the most complicated thing in the known universe, many people say. So far we understand little - just that certain regions of the brain appear to be involved in certain activities and certain disorders. 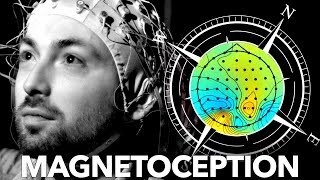 In extreme cases this has led to the practice of removing sections of the brain, or using electrodes or optical fibers to control activation rates. 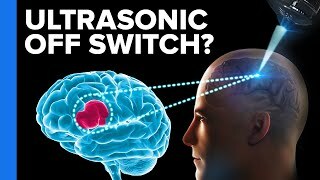 What is unique about this approach is it offers a way to turn on and off specific brain regions without invasive surgery. It has promise because it combines existing technologies: micro-bubbles, ultrasound, synthetic viruses, and synthetic drugs to achieve this goal. 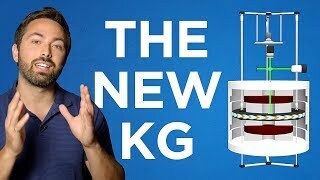 Special thanks to Patreon supporters: Donal Botkin, James M Nicholson, Michael Krugman, Nathan Hansen, Ron Neal, Stan Presolski, Terrance Shepherd Animations and editing by Alan Chamberlain Music from http://epidemicsound.com "Experimental1"
The kilogram, mole, kelvin, and ampere will be redefined by physical constants. 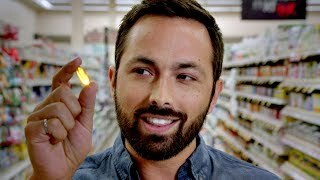 For a limited time, get 3 months of Audible for just $6.95 a month: http://audible.com/VERITASIUM or text VERITASIUM to 500500 Will this be the last video I make about SI units? Quite possibly. There's something about being so precise and defining the systems within which science works. 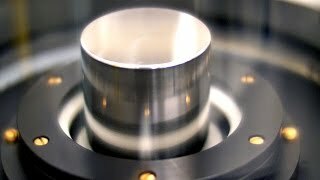 When we can more accurately and routinely measure a kilogram, a mole, a kelvin and an ampere, then we can make better observations, we can better detect anomalies and improve our theories. That is why this is so important to me. 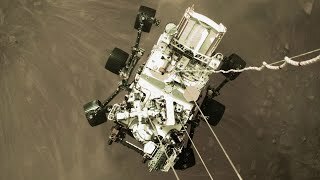 Special thanks to Patreon supporters: Donal Botkin, Michael Krugman, Ron Neal, Nathan Hansen, James M Nicholson, Terrance Shepherd, Stan Presolski Special thanks to NIST: http://nist.gov Additional graphics by Ignat Berbeci Music from http://epidemicsound.com "Experimental1"
ZERO-G Challenges of a Trip to Mars! 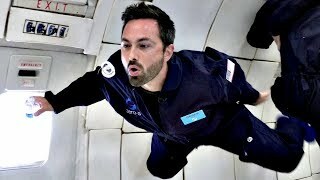 ZERO-G Challenges of a Trip to Mars! UV at ground level is non-ionizing but it damages DNA and causes photoaging - how? Also, it turns out glass doesn't block all UV (specifically UVA passes through). This is something I learned filming with the UV camera inside. Special thanks to Dr. Hayley Golbach, @hayleysgold on twitter https://twitter.com/hayleysgold Ultraviolet light causes damage to DNA, leads to cancer and photoaging: age spots and wrinkles. I was curious about this because UV is technically non-ionizing. A photon of UV doesn't have enough energy to strip an electron off atoms or molecules. 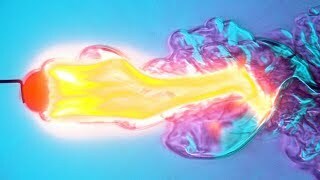 However it does have enough energy to trigger photo-chemical reactions. For example, it causes pyrimidine dimers - the unauthorized covalent bonding of adjacent thymine or cytosine bases in our DNA. If these spots are not properly repaired, they may lead to mutations and cancer. Photoaging is typically the result of degradation of collagen and elastin fibers - scaffolding that supports the skin. This leads to wrinkles and saggy-looking skin. Huge thanks to Patreon supporters: Donal Botkin, Michael Krugman, Jeff Straathof, Zach Mueller, Ron Neal, Nathan Hansen, Yildiz Kabaran, Terrance Snow, Stan Presolski, James M Nicholson, KIMoFy Support Veritasium on Patreon: http://ve42.co/patreon Music from Epidemic Sound http://epidemicsound.com "Serene Story 2"
Is Our Food Becoming Less Nutritious? 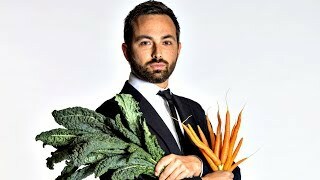 Is Our Food Becoming Less Nutritious? Can You Overdose on Vitamins? Can You Overdose on Vitamins? Vitamins are 13 molecules essential for life that our bodies can't make themselves. Watch Vitamania here: https://ve42.co/vita Now available worldwide, except France and Germany where it will be broadcast on ARTE soon. Subscribe on the Vitamania website for updates. Use #vitamania to join the conversation on Twitter and Facebook. Vitamania is a Genepool Productions feature documentary for SBS Australia, CuriosityStream, and ARTE France. Principal production investment from Screen Australia, in association with Film Victoria. Without neutrons, harnessing nuclear energy would be impossible. 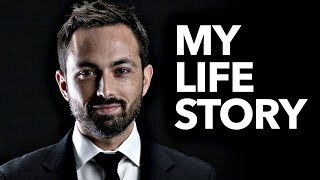 Try Audible free for 30 days: http://audible.com/veritasium I have a new documentary coming out in a few months - sign up here to be notified and see a sneak preview: http://vitamaniathemovie.com Special thanks to Patreon supporters: Tony Fadell, Donal Botkin, Michael Krugman, Jeff Straathof, Zach Mueller, Ron Neal, Nathan Hansen, Yildiz Kabaran, Terrance Snow A few years ago I made a documentary about uranium, radioactivity and radiation. I always thought of the characters in our story as the scientists and maybe the uranium nucleus itself. It was only through making the documentary that I realized the real hero of the story is the neutron. 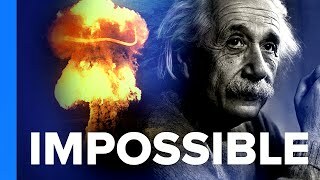 Without a neutral nuclear particle, it would be virtually impossible to release the energy from the nucleus. But with it, and the idea of a chain reaction, nuclear energy went from science fiction to reality. That is something I had not grasped as clearly before and it motivated me to make this video. Filmed by Raquel Nuno. 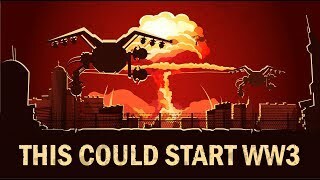 Will artificial intelligence weapons cause World War III? https://www.youtube.com/watch?v=qiJTq11kqdw This animated clip is from my friends at http://ve42.co/pindex2 New series! http://vrv.co/paradigms I'm not sure how alarmed to be about artificial intelligence. Personally I think it's really hard to predict when we'll create a machine that essentially has consciousness. That's because we don't know what consciousness is, how it works, what's required to create it etc. So It might be technologically around the corner or a hundred years away. What I do think is more predictable is the development of autonomous weapons that use AI to be the most effective killing machines of all time. That is scary. As outline by people like Musk and Hawking, this threat is clear and present so we should address it. I would like to see us agree as a species not to develop these sorts of weapons because if any one state does develop them, they would be very hard to stop. Why Are Mosquitoes Attracted To Me?! Why Are Mosquitoes Attracted To Me?! Mosquitoes are attracted to me and it's likely due to my genes. This video is sponsored by 23andMe https://23andme.com/veritasium Huge thanks to Prof. Immo Hansen and team: http://ve42.co/hansen References: Genome Wide Association Study for self-reported mosquito attractiveness: http://ve42.co/MossieGWAS The twin study showing correlated attractiveness is stronger for identical twins: http://ve42.co/MossieTwins Some things we know make mosquitoes more attracted to you: Exercising, higher metabolism, higher body temperature, more body odor, being pregnant, type O blood, infrequent bathing, lactic acid, ammonia, acetone. 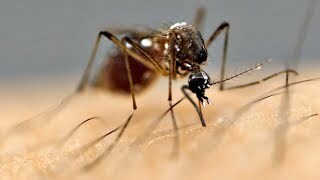 There are a number of folk remedies people believe protect them from mosquito bites like drinking alcohol, eating garlic, or taking vitamin B. These do not appear to provide any benefit in lab studies and in fact drinking alcohol is associated with increased mosquito activity because it causes blood vessels near the surface of the skin to dilate. And apparently some of your attractiveness to mosquitos is simply genetic. 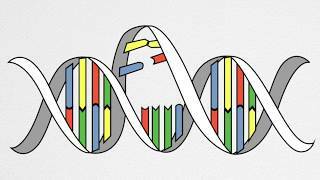 This may be mediated through your immune system, which is what a lot of the genes identified were associated with. 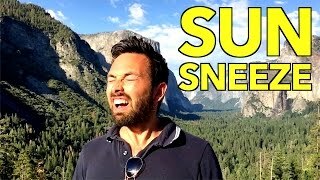 Molecular models are microSnatoms: http://snatoms.com Filming in New Mexico by Raquel Nuno Animations by Jacqui Robertson The opinions and conclusions drawn in this video are those of Veritasium and not 23andMe. 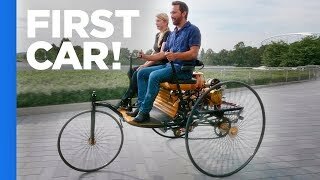 World's First Car! World's First Car! The merging of two neutron stars was detected by gravitational waves and then by telescopes in all parts of the electromagnetic spectrum. 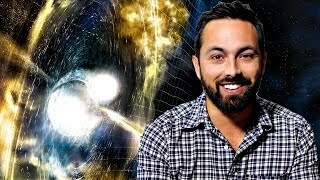 This is a historic detection as it demonstrates: - the first gravitational waves detected from inspiraling neutron stars - the first joint observation by gravitational wave and electromagnetic wave astronomy - identification of a gamma ray burst in conjunction with merging neutron stars - how gravitational waves and gamma rays can be used together to locate their source All evidence so far indicates that the data support General Relativity. Special thanks to Patreon supporters: Tony Fadell, Donal Botkin, Curational, Jeff Straathof, Zach Mueller, Ron Neal, Nathan Hansen, Corvi Support Veritasium on Patreon: http://ve42.co/patreon Graphics from: Jets and Debris from a Neutron Star Collision This animation captures phenomena observed over the course of nine days following the neutron star merger known as GW170817. They include gravitational waves (pale arcs); a near-light-speed jet that produced gamma rays (magenta); expanding debris from a "kilonova" that produced ultraviolet (violet), optical and infrared (blue-white to red) emission; and, once the jet directed toward us expanded into our view from Earth, X-rays (blue). Credit: NASA's Goddard Space Flight Center/CI Lab Virgo Helps Localize Gravitational-Wave Signals Sky localizations of gravitational-wave signals detected by LIGO beginning in 2015 (GW150914, LVT151012, GW151226, GW170104), and, more recently, by the LIGO-Virgo network (GW170814, GW170817). After Virgo came online in August 2017, scientists were better able to localize the gravitational-wave signals. The background is an optical image of the Milky Way. The localizations of GW150914, LVT151012, and GW170104 wrap around the celestial sphere, so the sky map is shown with a translucent dome. Credit: LIGO/Virgo/NASA/Leo Singer (Milky Way image: Axel Mellinger) Variety of Gravitational Waves and a Chirp The signal measured by LIGO and Virgo from the neutron star merger GW170817 is compared here to previously detected binary black hole mergers. All signals are shown starting at 30 Hertz, and the progression of GW170817 is shown in real time, accompanied by its conversion to audio heard at the end of the movie. GW170817 was observable for more than 30 times longer than any previous gravitational-wave signal. Credit: LIGO/University of Oregon/Ben Farr LIGO is funded by the NSF, and operated by Caltech and MIT, which conceived of LIGO and led the Initial and Advanced LIGO projects. Financial support for the Advanced LIGO project was led by the NSF with Germany (Max Planck Society), the U.K. (Science and Technology Facilities Council) and Australia (Australian Research Council) making significant commitments and contributions to the project. More than 1,200 scientists and some 100 institutions from around the world participate in the effort through the LIGO Scientific Collaboration, which includes the GEO Collaboration and the Australian collaboration OzGrav. Additional partners are listed at http://ligo.org/partners.php The Virgo collaboration consists of more than 280 physicists and engineers belonging to 20 different European research groups: six from Centre National de la Recherche Scientifique (CNRS) in France; eight from the Istituto Nazionale di Fisica Nucleare (INFN) in Italy; two in the Netherlands with Nikhef; the MTA Wigner RCP in Hungary; the POLGRAW group in Poland; Spain with the University of Valencia; and the European Gravitational Observatory, EGO, the laboratory hosting the Virgo detector near Pisa in Italy, funded by CNRS, INFN, and Nikhef. 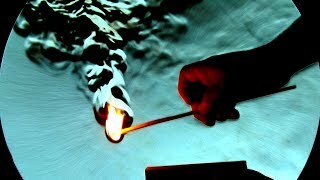 Schlieren Imaging in Color! Schlieren Imaging in Color! 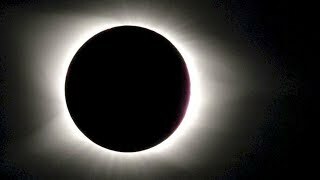 The total solar eclipse from Madras, Oregon on August 21, 2017. As the moon passed in front of the sun turning day to night and revealing the sun's corona, apparently all I could think to say was 'Oh my goodness!' Special thanks to Patreon Supporters: Nathan Hansen, Donal Botkin, Ron Neal, Zach Mueller, Jeff Straathof, Curational, Tony Fadell Everyone says not to photograph your first solar eclipse and I think they might be right. I was focused on getting the exposure right for Bailey's beads and the diamond ring, plus making sure to get the corona and solar flares. This was a bit stressful but I'm delighted with the results. This video originally included more info but since I'm uploading from Madras where the internet is sluggish, I cut out three minutes so the upload would happen before I had to leave for my flight. Special thanks also to Dr. Teagan Wall for sharing this experience with me and Raquel Nuno for inspiring me to come to Oregon. Music from http://epidemicsound.com "Spinning Earth 2" and Kevin MacLeod http://incompetech.com "Big Mojo"
On a stream of water you can levitate light balls of all sizes and even disks and cylinders. The mechanism is not the Bernoulli effect... Want to make this at home? 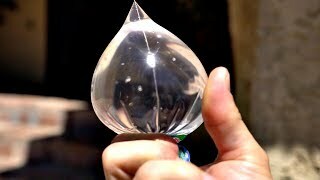 https://youtu.be/BppcHF2EdAY My friend Blake from InnoVinci emailed me with a cool idea for a video and footage of levitating balls in water streams. Initially it was tough to explain the physics of what was going on. 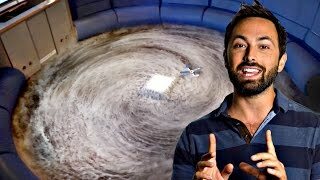 The standard Bernoulli effect relies on the object being completely immersed in the upward-flowing fluid. But in this case the water seems to form a single stream around the object and it's deflected away and down from the stream. By Newton's third law, the force on the water by the ball is equal and opposite to the force of the water back on the ball, pushing it up into the stream. 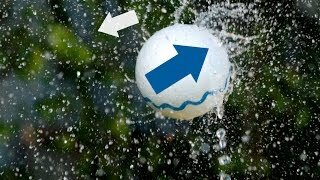 There is a stable equilibrium position because if the ball moves into the stream, it "cuts off" the water going over the ball so it drifts out. If it drifts out too far, then lots of water passes over the ball, pushing it back into the stream. 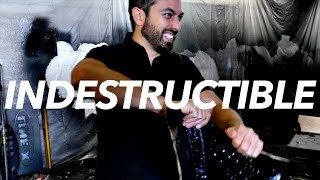 Special thanks to Patreon Supporters: Tony Fadell, Donal Botkin, Jeff Straathof, Zach Mueller, Ron Neal, Nathan Hansen Support Veritasium on Patreon: http://ve42.co/patreon Filmed by Raquel Nuno Slow motion by Hollywood Special Ops http://hollywoodspecialops.com Music from Epidemic Sound http://epidemicsound.com "Colored Spirals 3" "Magnified X 3" "In Orbit 2" "ExperiMental 1"
NEW Gravitational Wave Discovery! 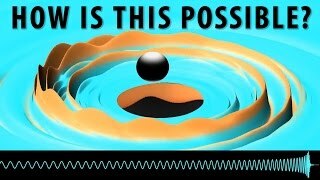 NEW Gravitational Wave Discovery! How do you measure big forces accurately? By calibrating your force transducer on the world's biggest weight - 1,000,000 pounds of force. This machine ensures planes don't break apart, jets provide required thrust, and rockets make it to their destination. Thanks to the people at NIST for showing me around: Rick Seifarth and Ben Stein. Animations here are by Sean Kelley and additional footage by Jennifer Lauren Lee. Special thanks to Patreon Supporters: Tony Fadell, Donal Botkin, Jeff Straathof, Zach Mueller, Ron Neal, Nathan Hansen Support Veritasium on Patreon: http://ve42.co/patreon Before visiting NIST in Washington DC I had no idea machines like this existed. Surely there's an accurate way to measure forces without creating such a huge known force?! Nope. 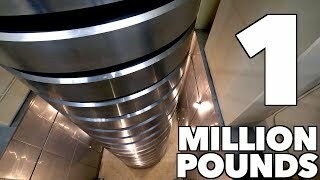 This appears to be the best way, with a stack of 20 x 50,000 lb masses creating a maximum force of 4.45 MN or 1,000,000 pounds of force. I also wouldn't have thought about all the corrections that need applying - for example buoyancy subtracts about 125 pounds from the weight of the stack. Plus the local gravitational field strength must be taken into account. And, the gravitational field varies below grade. All of this must be taken into account in order to limit uncertainty to just five parts per million (.0005%) Music from The Epidemic Sound http://epidemicsound.com "Serene Story 2"
Fire in ZERO-G!! Fire in ZERO-G!! 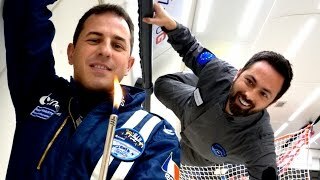 In a zero-g plane I experimented with flames and slinkies with surprising results. 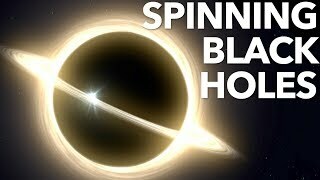 Check out e-penser's video: http://ve42.co/EPzeroG Check out Physicsgirl's video: http://ve42.co/PGzeroG Thanks to Novespace: http://ve42.co/novespace Special thanks to Patreon Supporters: Tony Fadell, Donal Botkin, Nick Luchsinger, Jeff Straathof, Zach Mueller, Ron Neal, Nathan Hansen The zero-g plane allows for a lot of experiments to be conducted without the expense of getting equipment into orbit. Apparently 80% of microgravity research can be performed in a zero-gravity plane, which is much cheaper than going to space. The flame from the lighter seemed much lazier in zero-g because without weight there is no buoyant force and therefore no convection. This makes the process of combustion more challenging because it's difficult for oxygen to reach the fuel. Music from the Epidemic Sound: http://ve42.co/epidemic "Serene Story 2" "In Orbit 2"
4 Revolutionary Riddles Resolved! 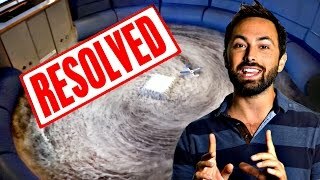 4 Revolutionary Riddles Resolved! 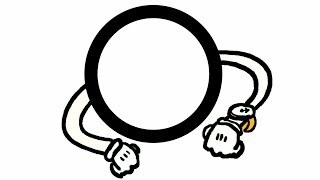 The solution to 4 rotation-related riddles, including the mystery cylinder, bike pedal pulling puzzle, track problem, and train part going backwards. Thank you to everyone who responded, liked, shared, or made a video response. Please fill out this short survey for research: http://ve42.co/Rresearch Special thanks to: Mathematician George Hart: http://georgehart.com/ For allowing me to use excerpts from his pedal pulling puzzle solution: http://ve42.co/ppp Petr Lebedev for combing through thousands of comments and providing the stats I gave in this video. 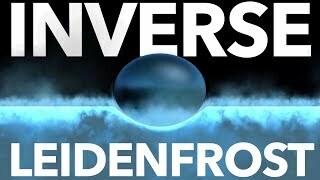 Video responses I used in this video (or watched): everWonder? 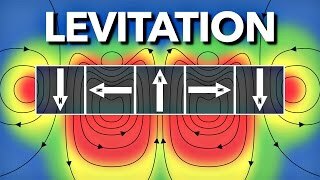 https://www.youtube.com/watch?v=5Ub2Cuclh1M A Random Nerdy Channel https://www.youtube.com/watch?v=I9RB9TrZGps The Physics DoJo https://www.youtube.com/watch?v=Pns0LCGLu9k Oblivious Jim https://www.youtube.com/watch?v=12WZIMEPi1A Armchair Explorers https://www.youtube.com/watch?v=S1yX_LTqtms MrEngineeringGuy https://www.youtube.com/watch?v=DRF82Rx9_YI Professor Cubers https://www.youtube.com/watch?v=qOd5orH-jfM Scoop Science https://www.youtube.com/watch?v=uzLO6GqmfhI A few notes on the puzzle: 1. A half-full container of honey does pretty well in reproducing the behaviour of the mystery cylinder. 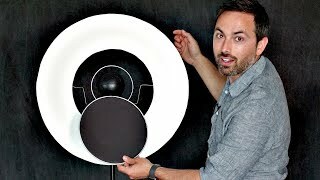 I wonder if the motion is a little smoother or more periodic with the ping-pong balls because they move as organized objects - also the delays between motion seemed to be longer with them than without ping pong balls. 2. For the average speed track problem, every time I said velocity I meant speed. 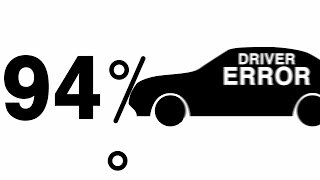 Sorry to the pedants out there who are perhaps looking for some trick answer due to displacement being zero when you run around a track. 3. Although a lot of people identified it was something about a train's wheels that move backwards, fewer identified that specifically it was the part of the flange below the rail. Some simply said the bottom half of the wheel. 4. The bicycle question is perhaps the most complex of these riddles. If you tried it with a bike you likely found that it went backwards. But what happens if you sit on the bike and only push backwards on the bottom pedal. The answer might surprise you so give it a shot! 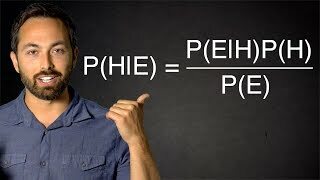 Bayes' theorem explained with examples and implications for life. 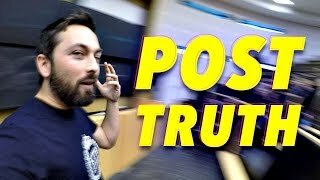 Check out Audible: http://ve42.co/audible Support Veritasium on Patreon: http://ve42.co/patreon I didn't say it explicitly in the video, but in my view the Bayesian trap is interpreting events that happen repeatedly as events that happen inevitably. They may be inevitable OR they may simply be the outcome of a series of steps, which likely depend on our behaviour. Yet our expectation of a certain outcome often leads us to behave just as we always have which only ensures that outcome. To escape the Bayesian trap, we must be willing to experiment. Special thanks to Patreon supporters: Tony Fadell, Jeff Straathof, Donal Botkin, Zach Mueller, Ron Neal, Nathan Hansen, Saeed Alghamdi Useful references: The Signal and the Noise, Nate Silver The Theory That Would Not Die: How Bayes’ Rule Cracked the Enigma Code, Hunted Down Russian Submarines, and Emerged Triumphant from Two Centuries of Controversy, by Sharon Bertsch McGrayne Bayes' theorem or rule (there are many different versions of the same concept) has fascinated me for a long time due to its uses both in mathematics and statistics, and to solve real world problems. Bayesian inference has been used to crack the Enigma Code and to filter spam email. Bayes has also been used to locate the wreckage from plane crashes deep beneath the sea. Music from http://epidemicsound.com "Flourishing Views 3"
Does Water Swirl the Other Way in the Southern Hemisphere? 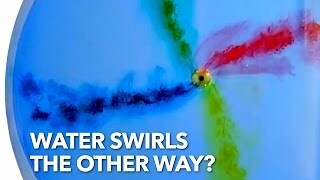 Does Water Swirl the Other Way in the Southern Hemisphere? How the brain works, how we learn, and why we sometimes make stupid mistakes. 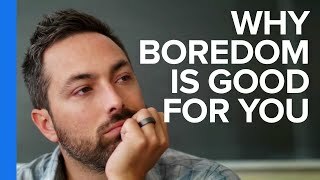 Submit ideas: http://ve42.co/GotIdeas Apply to work with me: http://ve42.co/JoinUs Thanks to Patreon supporters: Nathan Hansen, Donal Botkin, Tony Fadell, Zach Mueller, Ron Neal Support Veritasium on Patreon: http://bit.ly/VePatreon This video was inspired by the book Thinking Fast and Slow by Daniel Kahneman Harpist: Lara Somogyi http://ve42.co/Lara Animator: Jesse Agar http://ve42.co/ThisPlace Filmed by Raquel Nuno Music by Kevin MacLeod, http://incompetech.com "Sneaky Adventure" "Harlequin"
Water on the Moon? Water on the Moon? 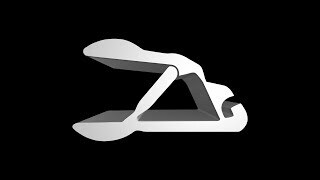 NEW CHANNEL! http://youtube.com/sciencium For a long time we thought the Moon was completely dry, but it turns out there are actually three sources of lunar water. Thanks to Google Making and Science for supporting the new channel! http://youtube.com/makingscience Thanks to Patreon supporters: Nathan Hansen, Donal Botkin, Tony Fadell, Zach Mueller, Ron Neal Support Veritasium on Patreon: http://bit.ly/VePatreon References: Great history of water on the moon: https://arxiv.org/pdf/1205.5597.pdf Filmed by Raquel Nuno Music from http://epidemicsound.com "Serene Story 2"
What the Fahrenheit?! What the Fahrenheit?! The crazy story of the arbitrary temperature scale used in a tiny minority of countries. Check out Audible: http://bit.ly/AudibleVe Snatoms are available again! 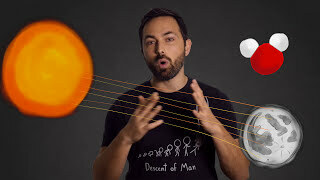 http://www.snatoms.com Support Veritasium on Patreon: http://bit.ly/VePatreon Celsius didn't invent Celsius: http://bit.ly/VeCelsius Video animated by Marcello Ascani: http://bit.ly/VeMarcello Thanks to Patreon supporters: Nathan Hansen, Bryan Baker, Donal Botkin, Tony Fadell, Saeed Alghamdi Music by Kevin MacLeod: http://incompetech.com "Modern Piano Zeta - Improbable" "Ice Demon" "Divertimento K131" "Sneaky Adventure" "Sheep May Safely Graze" "Professor and the Plant" References: A History of the Thermometer and its uses in Meteorology by W. E. Knowles Middleton Absolute Zero and the Conquest of Cold by Tom Shachtman The Science of Measurement, A Historical Survey by Herbert Arthur Klein Lehrbuch der Chemie by Jöns Jakob Berzelius Script: As an Australian-Canadian the Fahrenheit temperature scale always seemsed a bit arbitrary. I mean why does water freeze at 32 degrees? And what exactly does zero represent? 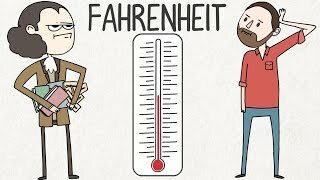 According to many sources the Fahrenheit scale was defined by setting zero degrees equal to the temperature of an ice, salt, and water mixture and 100 degrees being roughly equal to human body temperature. But that isn’t true. The real story is much more interesting, and scientific... August 14th 1701 was almost certainly the worst day in the life of fifteen year-old Daniel Gabriel Fahrenheit. On that day both of his parents died suddenly from mushroom poisoning. He was sent from Poland, where he lived, to Amsterdam to become an apprentice bookkeeper. But Fahrenheit couldn’t stand his apprenticeship and ran away so many times his employers put out a warrant for his arrest. Traveling from city to city around Europe, he became fascinated with scientific instruments and in particular thermometers. In 1708, possibly seeking help with the warrant, Fahrenheit met with the mayor of Copenhagen, who happened to be the famous astronomer Ole Romer. Romer is known for observing the eclipses of Jupiter’s moons and realizing that variations in the timing of those eclipses was caused by the time it took light to reach Earth. In other words, he found a way to accurately measure the finite speed of light. But more pertinent to this story, in 1702 Romer was housebound after breaking his leg. To pass the time he devised a new temperature scale with the freezing point of water at 7.5 degrees and body temperature at 22.5 degrees. This might seem odd until you consider that Romer wanted the boiling point of water to be 60 degrees (as an astronomer, he had experience dividing things by 60). If you take this scale, divide it in half, in half again, and in half once more, you find the freezing point of water 1/8th up the scale, and human body temperature 3/8th up the scale. So at their meeting in 1708, Fahrenheit learned of Romer’s temperature scale and adopted it as his own, adjusting it slightly because he found it “inconvenient and inelegant on account of the fractional numbers”. So he scaled them up to 8 and 24. That is the original Fahrenheit scale. He produced thermometers for some time using this scale. But then, at some later time Fahrenheit multiplied all numbers on his scale by four, setting freezing point to the now familiar 32 and body temperature to 96. It’s unclear exactly why he did this. He may just have wanted finer precision in his measurements but I think there was a better reason. You see, Fahrenheit was an excellent instrument maker. His thermometers agreed with each other precisely, at a time when that was unheard of. He pioneered the use of mercury as a measuring liquid, which has the benefit of a much higher boiling point than the alcohol used in most other thermometers at the time. For these accomplishments, he was inducted into the British Royal Society. And we know he read the works of Newton, Boyle, and Hooke, in which he would have come across the idea that a one degree increase in temperature should correspond to a specific fractional increase in the volume of the measuring liquid. And today a one degree Fahrenheit increase in temperature increases the volume of mercury by exactly one part in 10,000. Is this just a coincidence? We’ll probably never know for sure because as an instrument maker Fahrenheit was secretive about his methods. But I think the data strongly suggests this was the case. So what exactly did zero represent on the scales of Fahrenheit and Romer? By many accounts it’s the temperature of a salt, ice and water mixture. But there are different descriptions of these mixtures and none of them actually produces the temperature they’re supposed to. More likely I think they picked the coldest temperature in winter, set that as zero and later used ice and brine to calibrate new thermometers. Now his scale is only used regularly in the Cayman Islands, Bahamas, Belize, oh and the United States of America.